Are you planning to travel by train? Then please use our attached Train Route Planner (DB Bahn-Routenplaner). 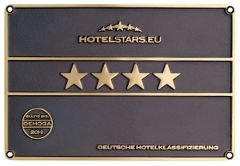 We are pleased to pick you up from the Main Train Station in Frankfurt or the S-Bahn Station Oberursel. Just book our Shuttle service. If you prefer travelling by car, we will gladly guide your way with our attached site Directions (including link to the route planner). Enjoy our homemade cakes in our charming café.